I might be a little overexcited this week, Big Hungries. Not only will my parents and venture down to Staten Island tomorrow to support our girls Olivia Grant, Joelle Leek, Julia Garvin, and Reese Widrick as they grace the Miss New York stage, but today, I was interviewed by Newschannel 34's Jim Ehmke for a story on BHS for tomorrow night's evening news! That's right, my loves, I'm going big time. As of right now, I haven't seen the footage, so I'm pretty busy imagining exactly how disgusting I'll look in it, but I tried to get the main messages across to Jim of what Big Hungry Shelby is all about: supporting family-run, local restaurants and Upstate New York's culinary bounty. Talking with Jim and telling him what I do with my blog was fun, and sharing my foodie point of view is something I usually do more in writing than out loud, so I hope I communicated effectively. I'll post the link to Facebook as soon as I see it up on the station's website, and I beg you to give me feedback. And of course, what I'm not-so-secretly wishing into the Universe is that this spot starts a journey that ultimately takes what I've started here to a new level. Hi, Travel Channel. This is Shelby. I'm loud and hungry, and I want my own show! We shot the piece at Las Chicas Tacqueria in Owego, because the post I wrote about this great little gem has the most hits of all the posts I've written in four years. Y'all like your tacos, man! As do I. As do I. They were so gracious about letting us shoot there, and even gave us lunch for free! 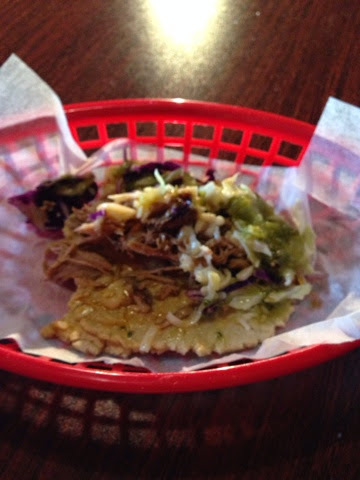 The only thing better than a chile verde carnitas taco is a free chile verde carnitas taco, that's for sure. 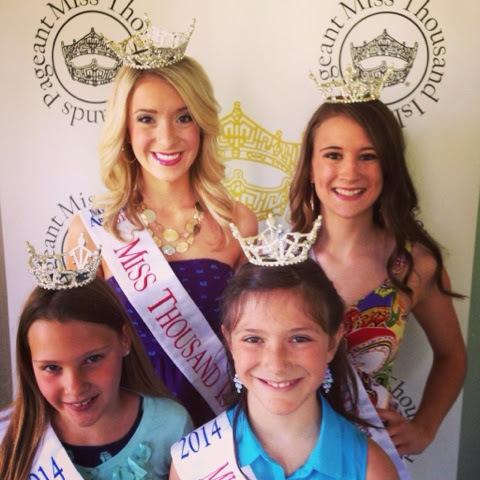 So, to recap: beauty queens, Newschannel 34, Thursday evening news, tacos, Travel Channel. Any questions? My personality is big, my hunger is bigger! We will be at the bar at Moxie celebrating our 38th anniversary tonight. We will get one of the girls to switch to 34 and will check out your package. It seems I got bumped by Cooperstown Obama and a naughty priest, so hopefully it will be on tonight! I'll post the link to the BHS Facebook page as soon as it's live!